Fun and interactive, our SurfBabies and SurfKids programs are a great way to help both children and parents develop confidence in the beach environment. The six-week courses run on Saturday mornings designed to familiarise children with the beach environment and teach parents valuable skills in supervision. 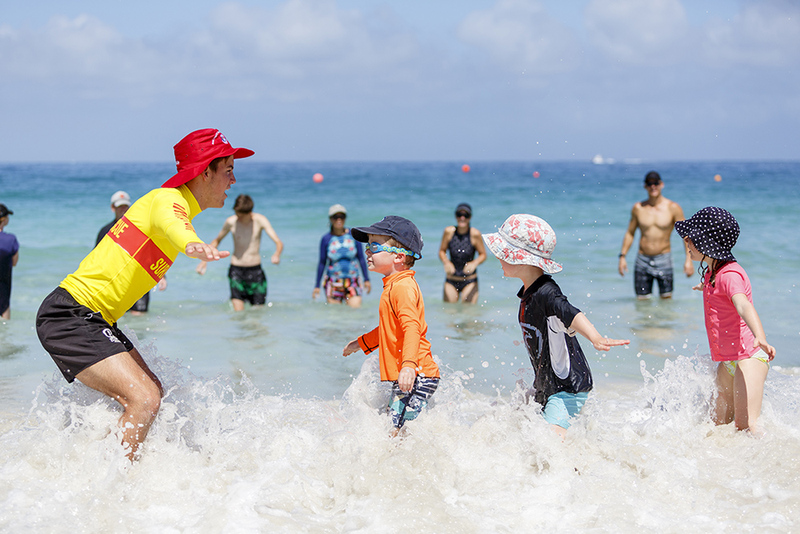 Conducted by fully qualified surf lifesavers, the SurfBabies and SurfKids programs are the ideal introduction to the beach environment. Enrolments will open two months prior and close 7 days before the course starts, places are limited. An important note for parents and guardians SurfBabies and SurfKids requires parent/guardian participation in the class and for you to remain with your child at all times. Be sure to dress appropriately for this involvement! Please make alternative arrangements for the supervision of other children/siblings during the class. If conditions are unsuitable for swimming, the class will still proceed with the focus being on beach and surf awareness activities.